The Hana EL cartridge is a low output moving coil with an elliptical stylus. 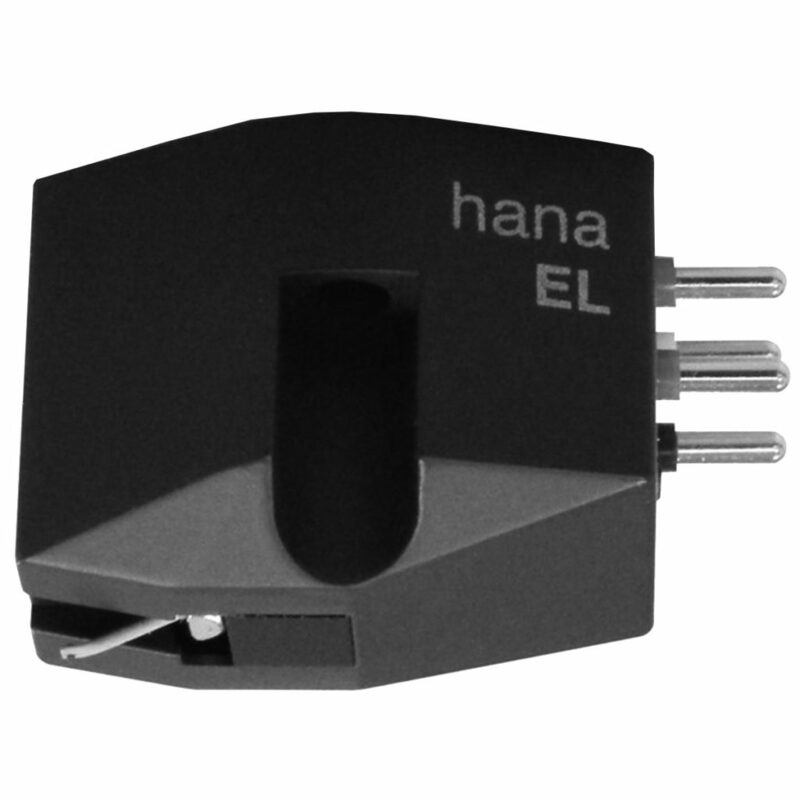 The Hana EH cartridge is a high output moving coil cartridge with an elliptical stylus. Both cartridges weigh 5 grams and track at 2 grams. With the Jelco 750D and the Ortofon 110 tone arms, both required a little heavier head shell. 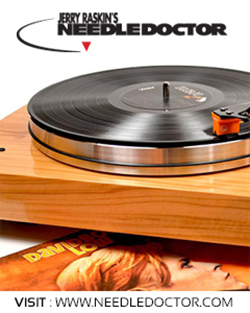 For the deep listening and review purpose, I chose the Merrill-Williams Audio REAL 1.2 turntable with the Ortofon 110 arm. The phono stage was the Zesto Audio Andros 1.2 coupled with the Rogue Audio Cronos Magnus integrated amp. 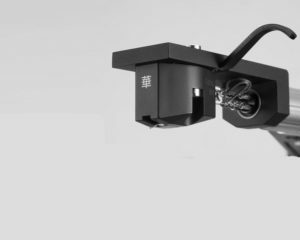 Set-up was easy and both cartridges’ azimuth were correct right out of the box which makes it a no brainer for Rega owners where azimuth adjustment isn’t offered. Listening to THE LA4 Pavane Por Une Enfante Defunte (Eastwind Records EW10003), the Hana EL sounded pretty damn sublime in the middle. Soundstage was well balanced and deeper than I expected. Shelly Mann’s cymbals hang delicately in the air behind Laurindo Almeida’s guitar and Ray Brown’s bass. And, there is plenty of “in the room’ going on. My copy of Miles Davis’ Kind of Blue is a hot stamper from better-records.com. It sounds superb. On “So What,” near the beginning, drummer James Cobb comes down so hard on the ride cymbal it distinctly lasted for a number of measures. Both the High and Low versions of the Hana Elliptical cartridge held the music together both dynamically and tonally. I know of these guys, yet I don’t know these guys, so this super high quality re-issue from Intervention Records works for me. 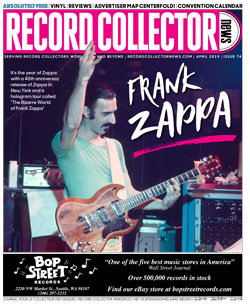 Cut from analog tapes, mastered by Kevin Gray at Coherent Audio and pressed at RTI on dead quiet 180-gram vinyl, this record sounds like the must-have version. Again, the Hana EL cartridge works this hippie, country rock groove like magic. There’s just something about these Hana cartridges. They are both musically enjoyable cartridges that deliver all the time. The high-output version is super easy to drive. 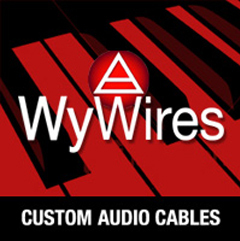 These cartridges got me all emotional for just $475 at your favorite audio store or Needledoctor.com. For the money, and for the music, Hana is a real steal of a deal. Check out RCN‘s Chicago road trip for more.